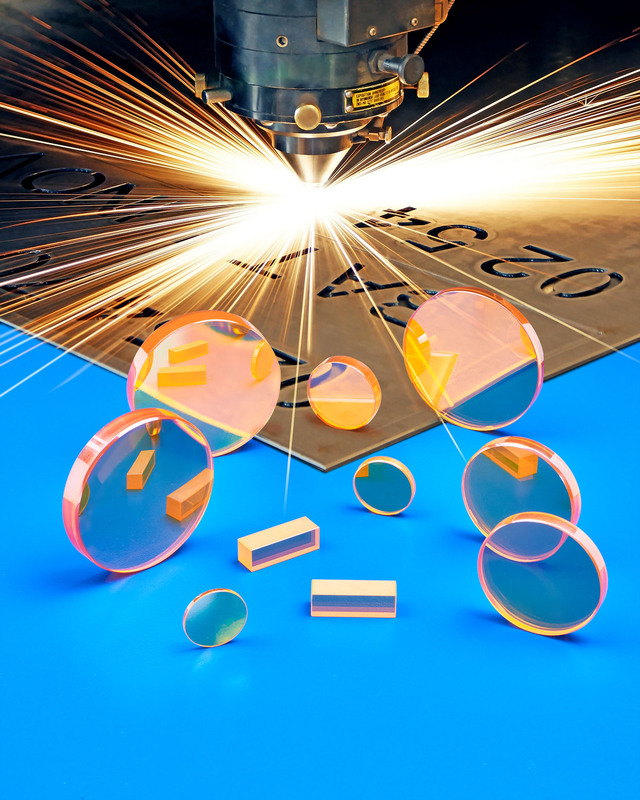 A full line of ZnSe (zinc selenide) focusing lenses that are optimized for use with steel cutting lasers up to 4 kW and suitable field replacements by users is available from Laser Research Optics of Providence, Rhode Island. Laser Research Optics CO2 Laser Lenses come in plano-convex and –meniscus configurations in 1” to 2” O.D. sizes with thicknesses ranging from 0.250” to 0.380”. They are offered in two versions: one with standard A/R coatings that provide < 0.2% total absorption and another with a proprietary Cool-CutTM coating which absorbs < 0.15% of laser energy to protect against heat damage. Suitable for OEMs or field replacement, Laser Research Optics CO2 Laser Lenses feature focal lengths from 3” to 10” in 0.5” increments, are optimized for 10.6 microns and can be supplied plain or mounted. Available for 200 W to 4 kW CO2 cutting lasers, they are made for Amada®, Cincinnati®, Mazak®, Mitsubishi®, Prima®, Strippit®, Trumpf®, and others. Laser Research Optics CO2 Laser Lenses are priced according to configuration and quantity. Price quotations are available upon request and delivery is from stock within 24-hours.